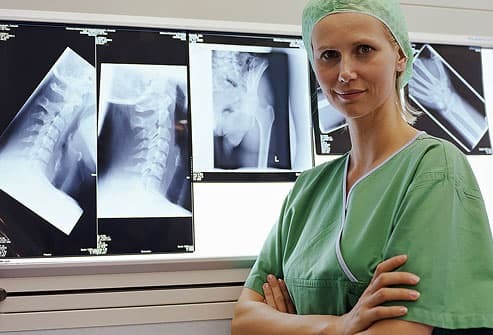 Our bones remain strong throughout young adulthood. As we hit middle age, they slowly begin to thin out. 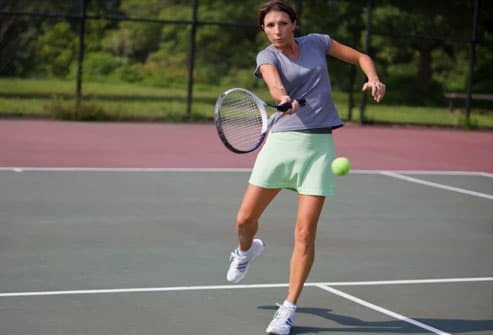 In women, this process accelerates after menopause, but there are ways to put on the brakes. One of the best lines of defense is your diet — eating the right foods can give you the maximum peak bone mass and boost your bone density at any age. Calcium is the cornerstone of strong bones. Adults up to age 50 need 1,000 milligrams per day. Beginning at age 51, women need 1,200 milligrams every day, and when men hit 71, they need to hit that mark, too. The pop star of calcium sources is undoubtedly milk. 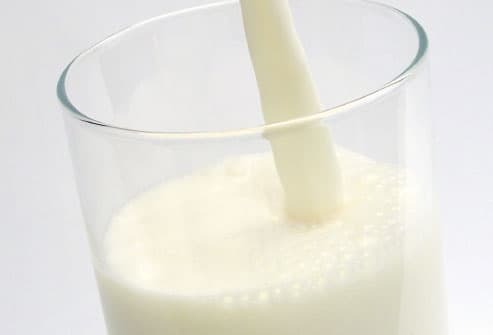 A single 8-ounce cup of milk, whether skim, low-fat, or whole, has 300 milligrams of calcium. Not a milk drinker? 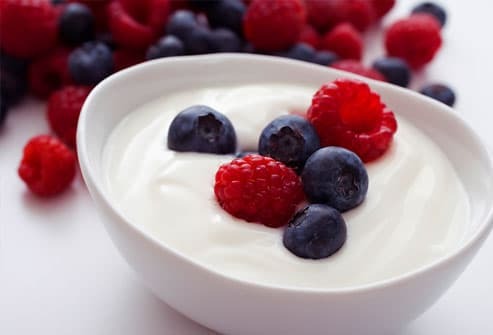 A cup of yogurt has at least as much calcium as an 8-ounce cup of milk. And 1 ounce of Swiss cheese has nearly as much. Even if you’re lactose intolerant, yogurt and hard cheeses are low in lactose. Or try dairy products that are lactose-reduced or lactose-free. Removing lactose from milk and dairy foods does not affect the calcium content. Milk and dairy products are not the only ways to get calcium. Another excellent source is sardines. All those little fish bones have just what you need to build bone mass in your own body. 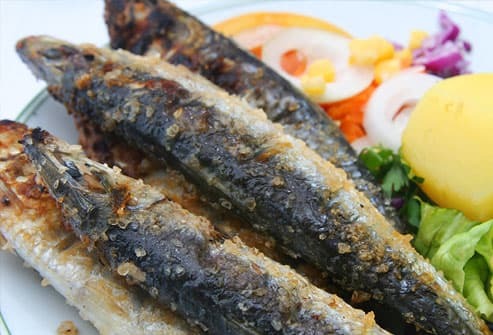 Eating 3 ounces of canned sardines delivers a little more calcium than a cup of milk. You might be surprised to learn that calcium is plentiful in many vegetables. 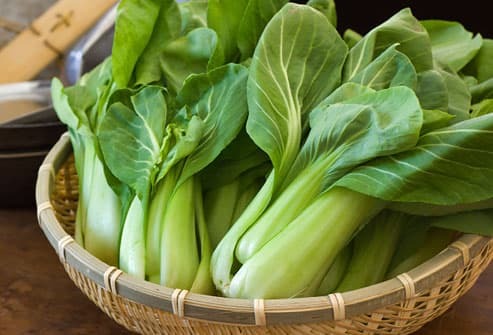 Go for dark leafy greens such as bok choy (seen above), Chinese cabbage, and kale. The traditional soul food favorites, collard and turnip greens, offer a lot of calcium, too. One cup of chopped, cooked turnip greens has about 200 milligrams of calcium. 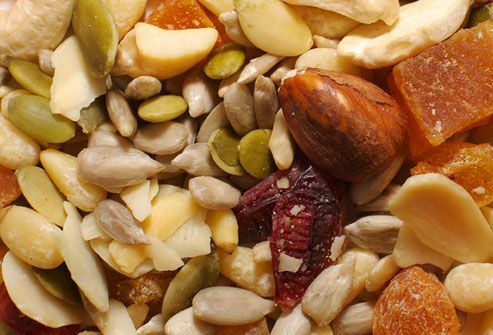 If dairy products, sardines, and leafy greens leave you cold, consider eating fortified foods. These are products that do not naturally contain calcium but have been enhanced with varying amounts of the essential mineral. 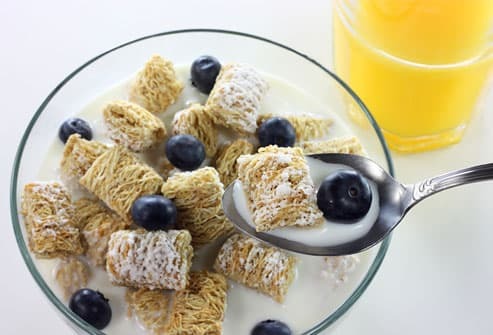 Breakfast foods are a great start — fortified orange juice has up to 240 milligrams of calcium, and fortified cereals deliver up to 1,000 milligrams per cup. Check the nutritional label for the exact amount. Supplements are an easy way to boost your calcium intake, but some reports suggest you may not need them. If you’re already getting enough calcium from food, taking more in pill form won’t contribute to bone health. 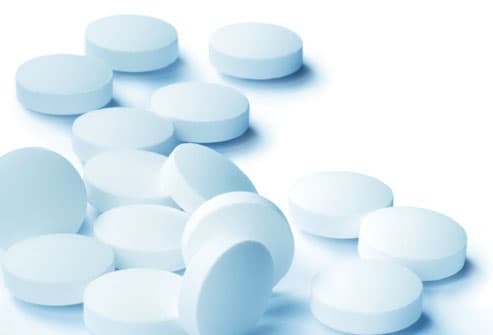 Experts say there’s little benefit in getting more than 2,000 milligrams of calcium per day, and too much can lead to kidney stones. For the best absorption, take no more than 500 milligrams at one time. Some calcium supplements, such as calcium carbonate, are better absorbed if taken with meals; however, calcium citrate can be taken anytime. Half a cup of calcium-enriched tofu contains as much as 861 milligrams of calcium, but calcium is not the only mineral that gives bones a leg up. New research suggests plant-based chemicals called isoflavones strengthen bone density as well. 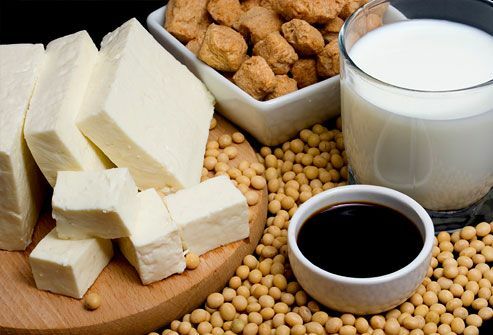 Isoflavones are plentiful in soy foods, such as tofu, and appear to have an estrogen-like effect on the body. This may make soy useful in warding off bone disease in postmenopausal women. 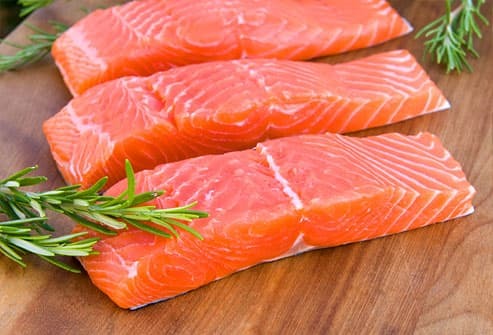 Salmon and other types of fatty fish offer an array of bone-boosting nutrients. They contain calcium as well as vitamin D, which assists in calcium absorption. They’re also high in omega-3 fatty acids. Fish oil supplements have been shown to reduce bone loss in elderly women and may prevent osteoporosis. Salt is a major culprit in depriving the body of calcium. 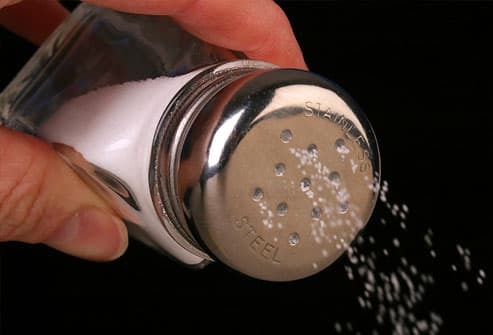 The more salt you eat, the more calcium gets carried away by urine. Sticking to a low-salt diet can help you keep more calcium to strengthen your bones. OK, sunshine is not a food. But the body produces vitamin D in response to sunlight. 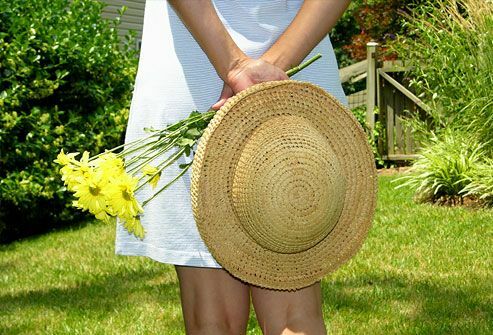 Without vitamin D, our bodies cannot properly absorb the calcium in foods. Cloudy weather, a northern latitude, and darker skin can interfere. So some people may choose a vitamin D supplement. The recommended dietary intake is 600 IU a day for most adults, jumping to 800 IU above age 70.